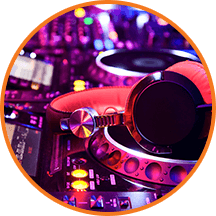 Audio Equipment Hire, Sound system hire, audio equipment, DJ, disco equipment & lighting hire, PA system repairs & Installation, Audio systems hire, sales and rental in Manchester. 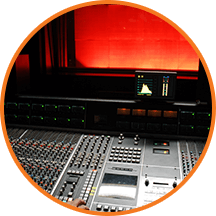 Lighting and Audio Equipment Hire by SPL Audio Services who have been specialists for over 20 years in the hire, sales, installation and repair of PA systems, sound & audio equipment. DJ, disco equipment and lighting, audio equipment hire in and around Manchester. We also hire individual items such as microphones, amplifiers, loud speakers and portable battery powered speaker systems to other areas. Also including, Stockport, Bolton, Chester, Warrington, Preston & surrounding areas. Please see our other pages for some of the audio equipment hire that we can provide and see some of our recent clients. Specialist Wedding packages available, including lighting and sound systems, also including microphones for speeches. Sound and audio equipment and sound system hire by SPL Audio Services, who are based in Sale, South Manchester. Located between Altrincham and Stretford with a two minute access to the motorway network. This allows us to cover, not only the North West, but all of the UK, providing high quality sound systems to bands, Dj’s, venues and event organizers. Hire the equipment and do the party yourself. Individual items of sound and lighting equipment or complete packages available for every event, both indoor and outdoor. All events and occasions, lighting for wedding venues. Over 300 metres of Festoon lighting and over 40 uplighters, great for weddings, outdoor events, Christmas markets etc. We can also supply audio equipment hire for musical, corporate and sporting events. Conferences, special events all catered for to a professional standard. 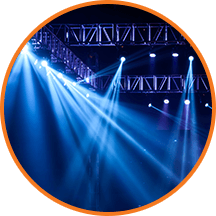 Hire, sales, repair and installation of PA systems, sound equipment, loudspeakers, DJ and disco equipment, disco lights, audio visual products, lighting products, microphones, both cable and wireless. Portable PA and battery powered sound systems and other audio equipment hire, throughout Lancashire, Cheshire, Yorkshire, Cumbria and the rest of the North West. Have a look around our website, this will give you an insight to what audio and sound equipment we stock. Furthermore, you can also see some of our recent installations and clients. Finally, if you have any questions or require any further information, please do not hesitate to contact us. Advice is free! SPL Audio Services are members of The Federation of Small Businesses. All our equipment is fully tested (PAT) and comes with £10 million Public Liability Insurance. 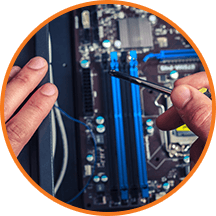 Call us on 0161 962 5151 or 07788 725726 to discuss your requirements.